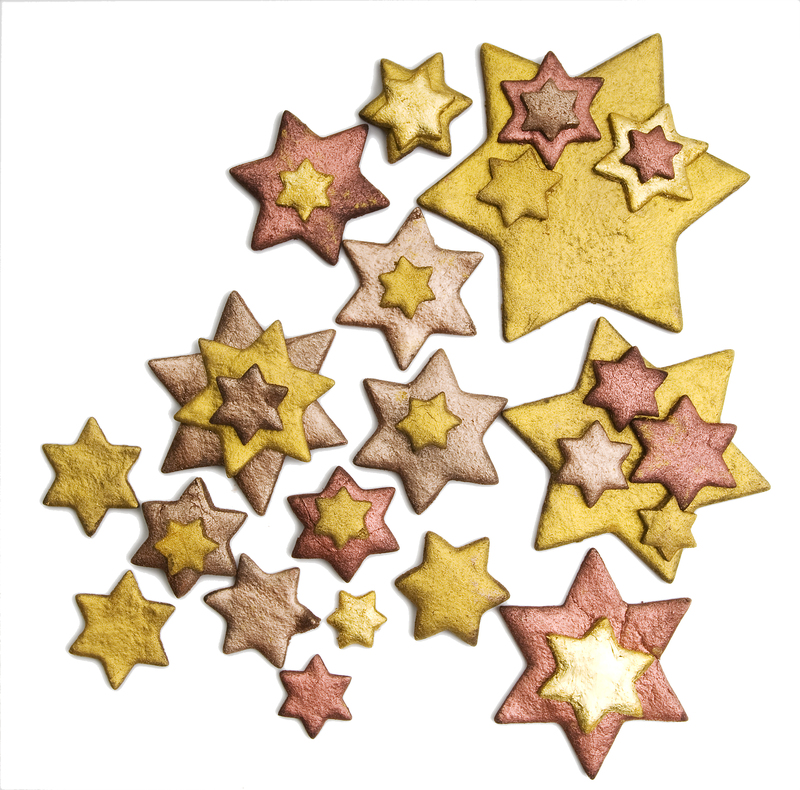 Make this Fourth of July shine with these fun and festive star cookies. Start by using our “No Fail Sugar Cookies” (see recipes section). Bake and cool cookies as directed. Now for the shimmer! Using varying shades of gold luster and sparkle dust (found at fancyflours.com) you can get this shimmery look with ease! Just mix luster or sparkle dust in a small ramekin with a few drops of a clear alcohol-based extract or use a clear spirit. This will create a “paint” for your cookies. Using a paint brush or pastry brush, paint each cookie with luster dust. Use varying shades to achieve this look. Also try using red or blue luster dust for a truly patriotic theme. If you want to frost your cookies before using luster dust, simply ice with a royal icing, or any other icing that will dry fairly hard and smooth. Wait until icing is completely set, and paint over with desired colors of luster and sparkle dust. Your cookie will be almost to good to eat…almost! 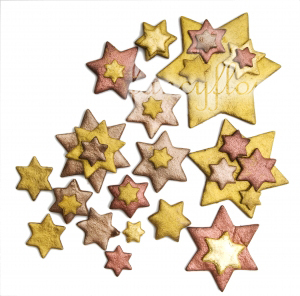 *Tip, to get varying star cookie shapes, please check out: http://www.fancyflours.com/cookie-cutter-set-stars.html for a great star cookie cutter set.